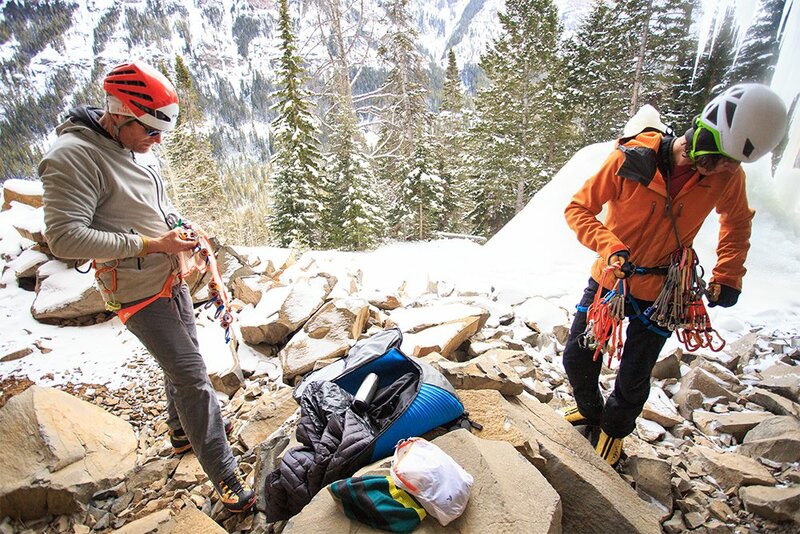 “RACK ALL THE GEAR ON YOUR LEFT SIDE.” Conrad Anker is giving instructions. 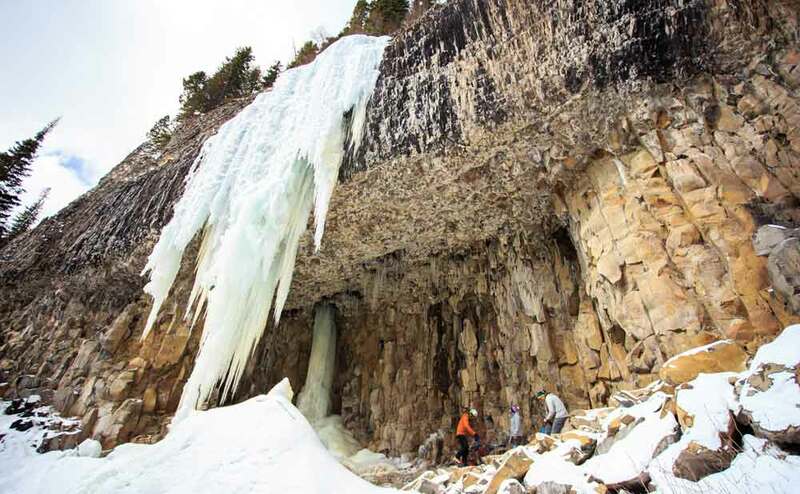 “Use the chimney, get inside.” We’re in Hyalite Canyon, an alpine wonderland above Anker’s hometown of Bozeman, Mont., looking up at a dark corner of dripping stone and ice. “Ok, you’re the man, I am the hand,” Anker said, doling out some rope, stepping back into a familiar rhythm on belay. I’m suited up to climb next, all Petzl axes and La Sportiva boots. 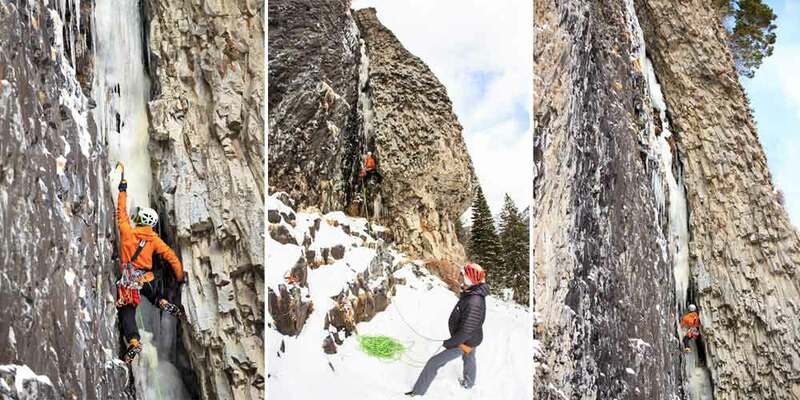 But currently picking and reaching on the route — an M4/WI4 classic called “The Thrill Is Gone” — is an Anker mentee, Matt Cornell, who lived out of his car for three years before settling in Bozeman to climb ice. Anker calls him simply “Youth,” but Cornell, age 21, is maturing as a climber. 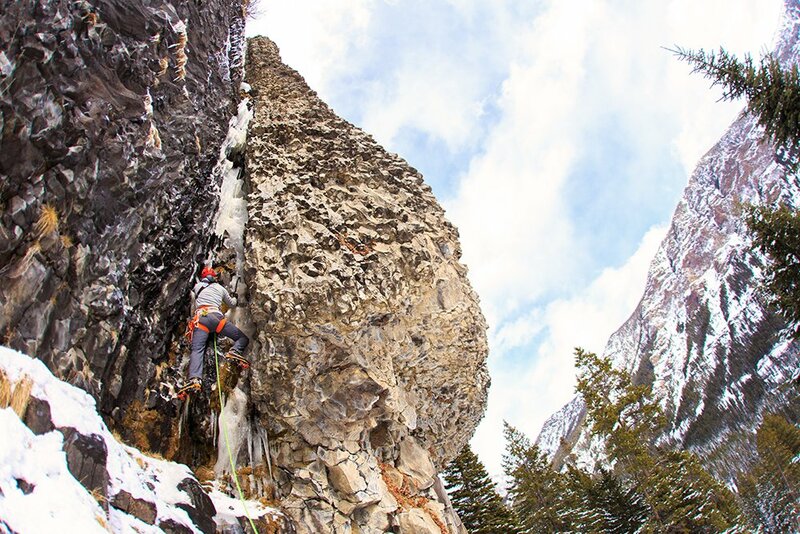 In Hyalite, where he trains all winter, the mixed climb overhead causes only temporary pause. Cornell is a quiet machine, calculating each swing, stepping up to match feet. “Lead this in 20 minutes if you’re going to climb Moonflower in a day,” Anker cajoles, referencing an Alaskan test piece. I was Cornell’s age when I met Anker for the first time, in 1998, at a rock-climbing clinic in Minnesota. The editor of a scrappy startup magazine, “Vertical Jones,” I approached Anker nervously. He was a big name to climbing junkies even then, with wild ascents around the planet, but Anker was friendly, answering a dozen questions as I scrawled in a notebook to record an interview for my ‘zine. For a decade, we’d cross paths at trade shows and events. 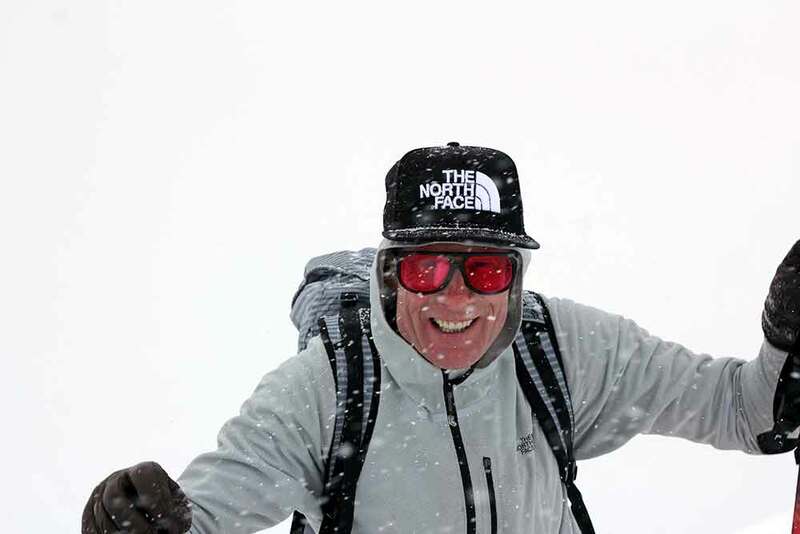 Anker’s prowess as a climber grew, as did his work with gear development at The North Face and other brands. He led a team and discovered George Mallory’s body on Mount Everest. Last year, “Meru,” a major motion picture that won accolades at Sundance and got short-listed for an Academy Award, converted Anker, who is a star in the film, into a household name. My week in Bozeman, in mid-March, was a chance to reconnect. Anker had invited me out to ice climb. I bought a plane ticket, packed two suitcases of climbing gear on a Monday night, and flew west. Bozeman is a town surrounded by mountains but grounded by a cowboy soul. Pickup trucks, ranches, and vast open land dominate until you look up to see the Bridger Mountains, the Tobacco Roots, the Hyalites, and further ranges that interrupt the “big sky” view. I had four days in the town, and on Tuesday night I met with Anker and a crew he was filming with, from SmartWool, to make a plan. Wednesday was a typical “work day” for Anker. Meaning, he was gearing up to climb ice as the sun rose over Bozeman. GearJunkie’s Ryan Phelan, a photographer, and I met Anker at his home for a tour of the “gear cave” downstairs. 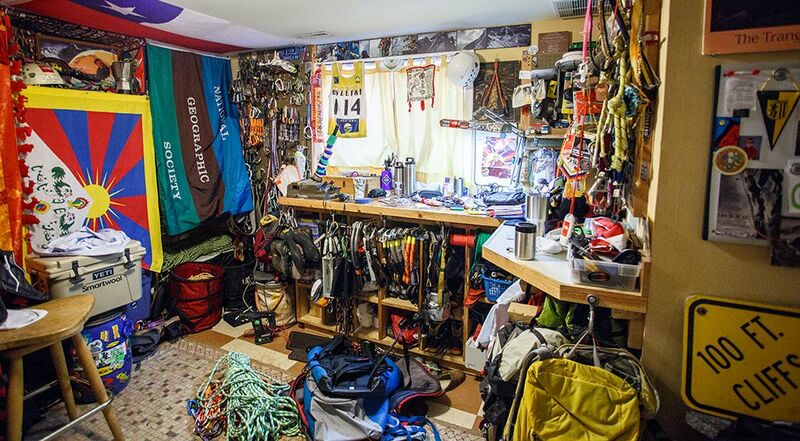 Ice axes, helmets, ropes, and all manner of gear exist in the cave — a basement room adjacent to Anker’s office — alongside expedition maps, old photos, and at least one shrine. Alex Lowe, a longtime climbing partner who perished in an avalanche, has a presence in the room. Lowe’s coffee pot, pictures, ice tools, carabiners, and more are on a perch overlooking the space. In a fateful turn, and a widely-known story among climbers, Anker married Lowe’s widow, Jenni, and adopted the couple’s young sons after Lowe’s death in 1999. Anker drives. 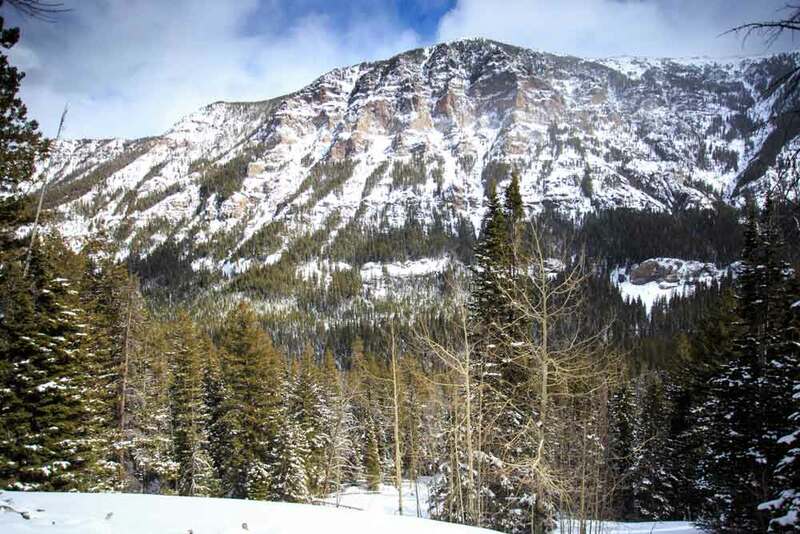 An hour later, we are in Hyalite Canyon, the trailhead gleaming and muffled by new snow, rutted with tire tracks. Pine trees fade to jagged peaks above. Our trail trots past a stream, rocks and broken horizontal ice, before jolting uphill toward a cliff. I am ready to burn some “fuel.” In 20 minutes, we’re in a cave, a cantilever of rock carved out above and blocking the sun. 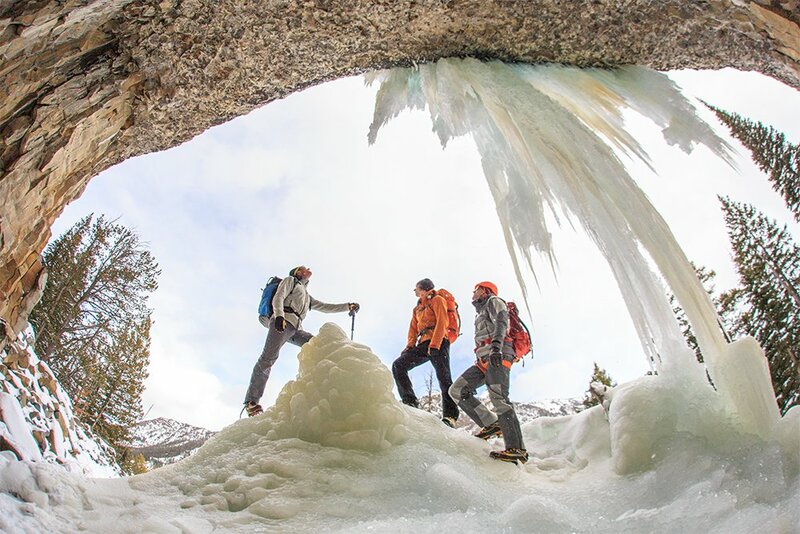 Ice drips in mammoth daggers, 10 stories tall. Water seeps, running over stone, congealing as columns of white and climbable curtains that stand toward the sky. Matt Cornell led the route, “The Thrill Is Gone,” then Anker handed me the rope. It’d been a few years since I suited up for the sport. But the movements of ice climbing came back, my axes extensions of my arms, penetrating ice, crampon front-points as claws. Little kicks created footholds, even as my calves ached. I hang and look up and down, scanning. The ice is tenuous in the corner, now 50 feet off the ground. A foot twists, and I swing an axe, searching for balance. But my weight is too much. The pillar — a stack of ice as tall as a man — breaks free, falling, and I shout — ICE! — to warn the belayer below. Explosion. Gravity and mass, ice a tumbling missile, then contact with rock, the belayer shielding his face. Shards dimple the snow in Hyalite Canyon, and no one is harmed. I’m hanging, gripping my axe, still on route where the ice had been, and now searching for a new way up. He’s headed to Nepal in two weeks — “Swinging hammers, pounding nails, getting things done…” — to spend time working at the Khumbu Climbing Center. 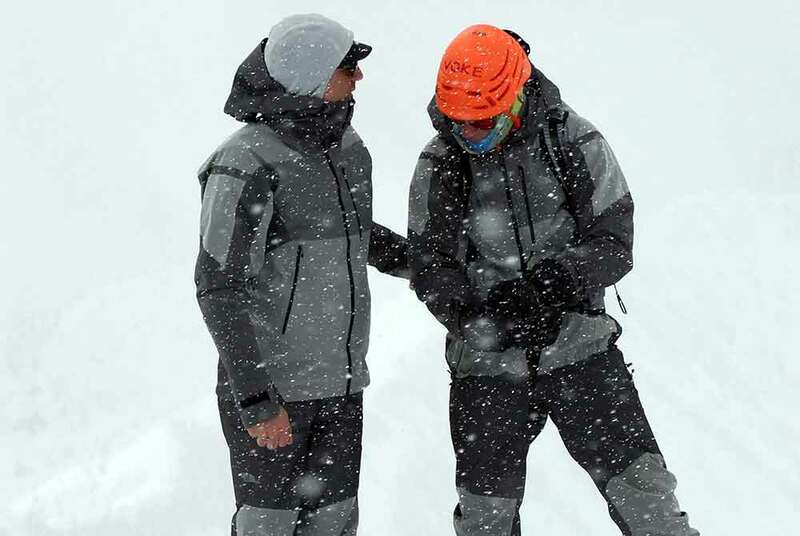 Conrad will travel with his wife Jenni Lowe-Anker, the president and founder of the Alex Lowe Charitable Foundation, which runs the not-for-profit center to train Sherpa climbers on technique and safety in the mountains. 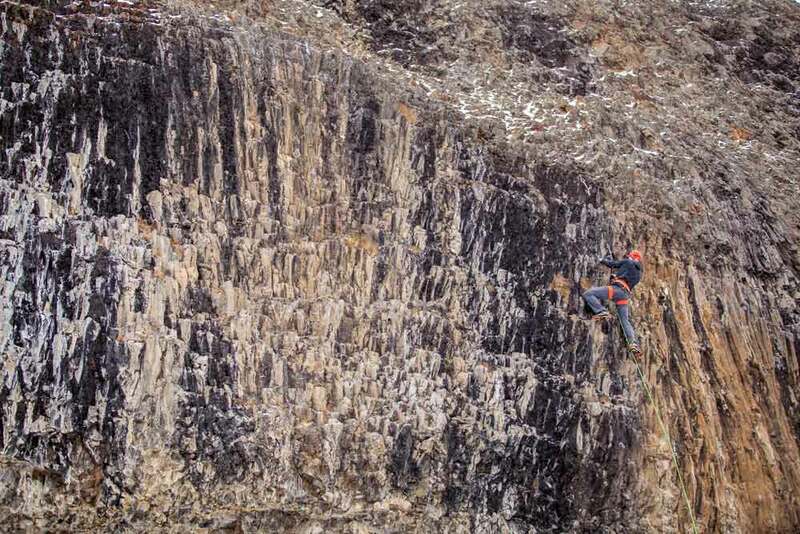 Later this year, on a second attempt on a big peak, Anker will travel again with climber David Lama to try and ascend Lunag Ri on the Tibetan-Nepalese border. “I have been thinking about that trip all morning,” Anker told me at one point in Hyalite, when he was seemingly shaken from reverie. Metal on stone, feet scraping. Anker climbed the dry route quickly. He clipped chains at top and lowered down, smiling and psyched. Wind scoured the high peaks. On Thursday morning we put on skis, a foot or more of new snow ahead. Cornell was back for round two, and this time Anker had also enlisted a second “Youth,” Ben VandenBos. “He knows every little twist and turn and passage up there,” Anker noted, referencing the Hyalite backcountry above. 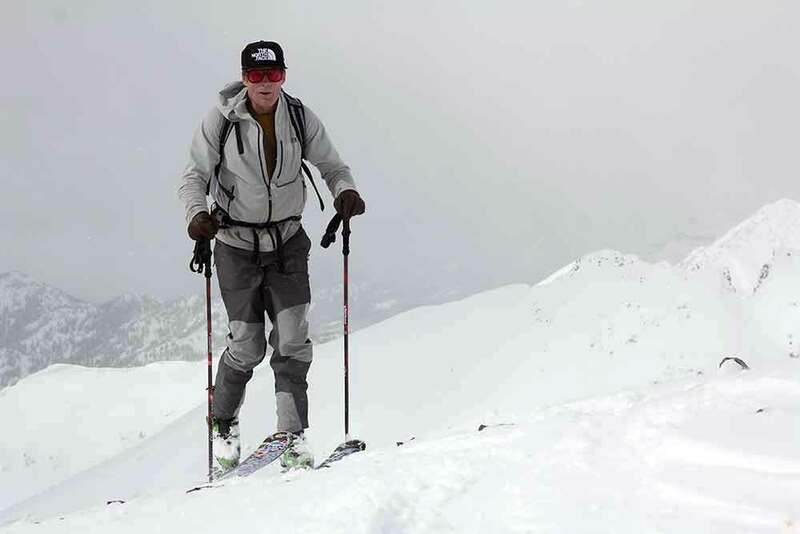 VandenBos, 28, is a geologist who works seasonally and manages to ski 150+ days a year, all in the backcountry and mostly around Bozeman. He heads out solo or with his dog “Z” most days. “I just love being in the mountains,” he explains when I pester about his obsession. Anker knows VandenBos through his sons. They went to the same schools and still cross paths, often in the mountains. “He’s our man, he knows the snowpack, he knows where to go,” Anker assured. I kicked and glided, reaching with a pole, the first motion into the woods initiating a long day with Anker in his habitat pushing it in Hyalite with friends. “I gotta be back by like 6 p.m.,” he said. Our sights were on Hyalite Peak. 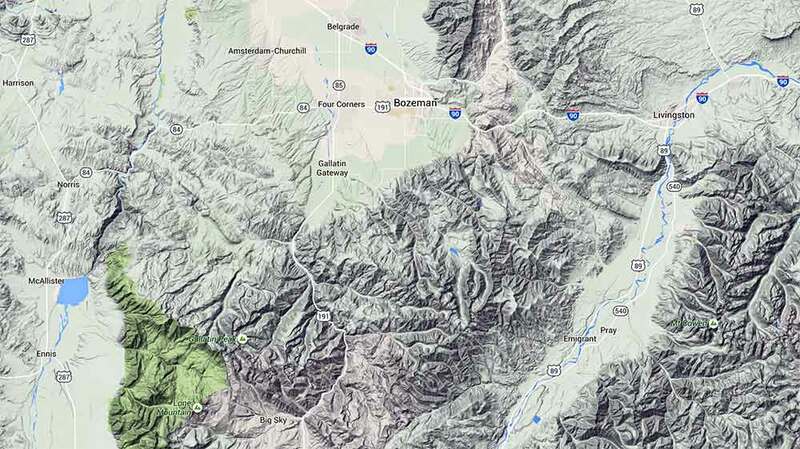 The 10,298-foot mountain dominates the range and sits at the head of the valley. Anker invited me to break trail, “as our visiting guest,” as we coursed south through the forest. Pine trees arched under the weight of new snow. The woods was silent. Z the dog ran ahead then back, wringing out some energy before getting into the pace line for the hours ahead. 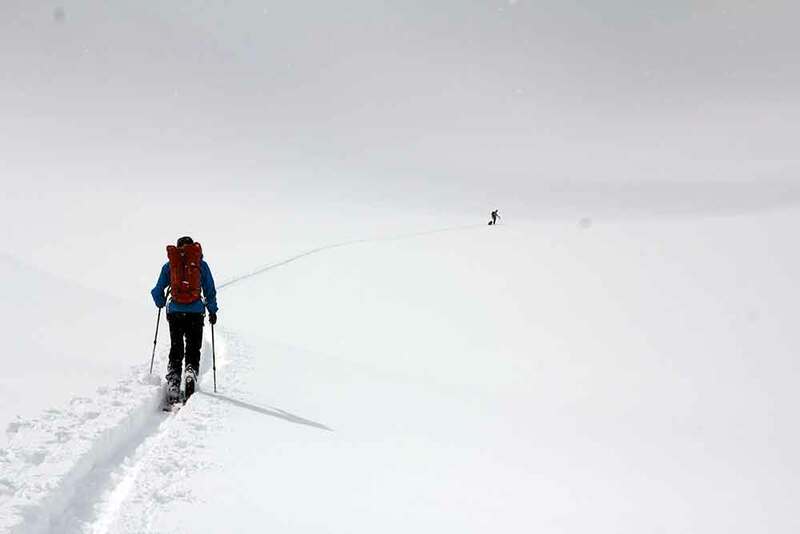 We skied with little talk, just breathing and effort to move on snow — step, pole, glide, repeat. The trail tilted up, finally, and we skinned from the forest to treeline then into the stark white. Bowls and open fields. Then it got steep. “Skis off,” someone shouted, the wind picking up. I could see the dog’s silhouette above. VandenBos was scanning up and down, trying to pick a route. “I think in 45 minutes we can make it to the top,” he shouted, the wind now intense, blurred with pellets and flakes. 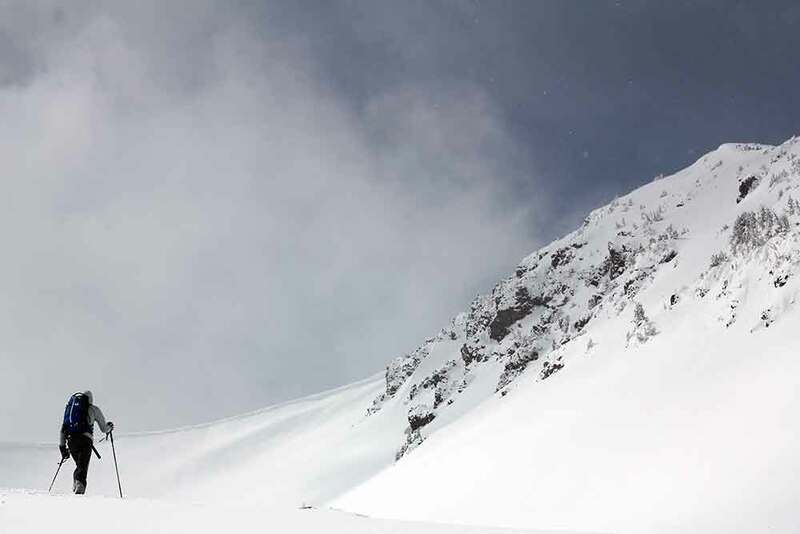 A pyramid of white with a rocky top, snow scoured away and huge windward cornices, Hyalite Peak was an apex in a storm. Visibility decreased. Snow pelted, and I pulled a shell out of my pack. Climbing skins come off skis. Lock down the heals. Wait. “Let’s see if this clears,” Anker is shouting. We hunker down. The storm picks up. Anker pulls a massive puffy from his pack, a The North Face parka, zipping it on and huddling as I shiver, looking jealously on. He suggests we give the weather 15 minutes “to clear.” I glance 360 degrees and see swirling clouds, snow blowing sideways, three men huddled by a dog, then a white abyss at all sides. VandenBos just smiles. He’s dressed lean, and he’s getting cold. “Time for some base layers,” he said, stripping down. Incredibly, VandenBos takes off his pants on the top of the peak, in a blizzard. He pulls out a pair of base layers from his pack and shuffles one socked foot after the next to get them on, bare legs, boots open below and collecting snow. I am “skiing by braille,” as the saying goes. It’s white in all directions, with wind, snow, clouds, and fogged glasses all melding into a discombobulating scene. But a moment later he’s skiing ahead like nothing happened. I am still stumbling, trying to avoid rocks that pepper the thin summit snow. I see Z and VandenBos ahead, both content in their world of Hyalite mountains and white storms. Powder turns finally come as we duck over a ridge. The trees flank the white ahead, giving dimension to the slope, definition to our task. There’s hooting (humans) and a howl from the dog, all nearing bliss in a backcountry bowl with deep snow and miles with no one around. I cut swaths down a face, straight-line my skis, then coast to a stop where the group has collected. We’re off the summit flanks, heading down into the valley toward the start. Anker has an immense grin, and a far-off gaze. VandenBos is looking up already. “Who wants to do another one?” he said, eyes on a new ridge. The storm is clearing. There’s a ball of sun now coming through from above. In a line we cut back into the virgin snow. We’re pacing across an expanse, pine trees and rock, poling and gliding toward an ascent in Hyalite, time to do it all over again.